I cant explain my happiness to say that I've finally managed to get my hands on something from a MAC limited edition collection! I'm always missing out, ill hear about a new collection then check on their website right away..nope all gone, they go way to fast for my liking! After seeing all of Sarah from andbeautyorsomething MAC's Osbourne Collection "pritties" ;).I knew that I needed to get my hands on a piece right away, but again kind of thought I wouldn't stand a chance....until I spotted that Dodgy Girl Lipstick was the only thing in stock from the collection...it was a sign guys! I didn't even hesitate and bought it, even though I thought.. hmm could I pull of a lilac lip ..I duno we will see. MAC's Dodgy Girl is a matte finish, but i cant quite believe how creamy it is for a matte finish compared to the others i own which are a lot more drying and harder to apply..this is a breeze and i really like how comfortable it feels on the lip. 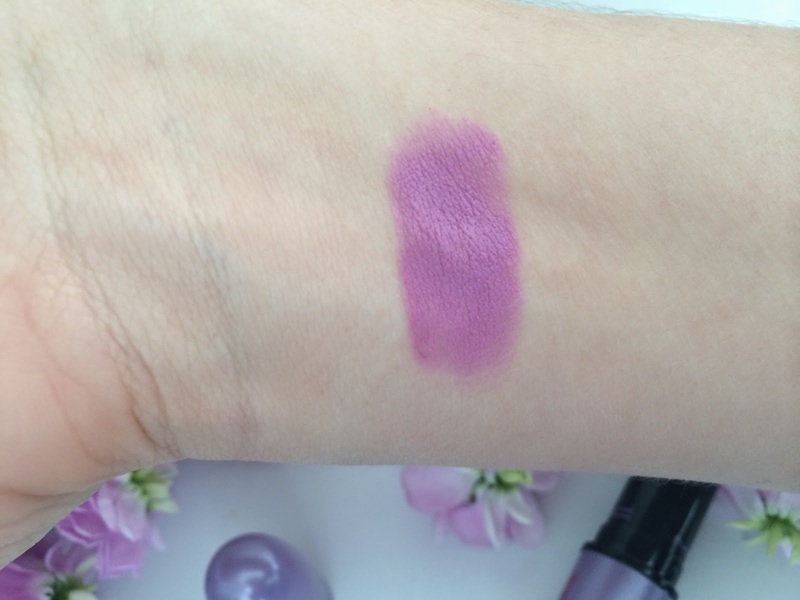 The shade of Dodgy Girl is a Pink Lilac shade and its very opaque in one swipe, what you see is what you get. It also pleases me so much that the lipstick casing is nearly the same colour as the bullet.. it looks so pretty - oh the simple things haha! I also love how the casing has Kelly Osbourne's Signature in red at the bottom of it, just to make it look extra special and give it that extra..erm ...Pizzaz? ;). On first impressions i really didn't think i could pull it off, all i knew was that i wanted it .. But after experimenting and trying it on, i think that really like it; but i will probably only wear this on my "brave days" as i think its quite out there for me. It wears pretty well, a good few hours on the lips, eating and drinking! it even fades really nicely too..it almost goes to this beautiful Rosy pink shade. 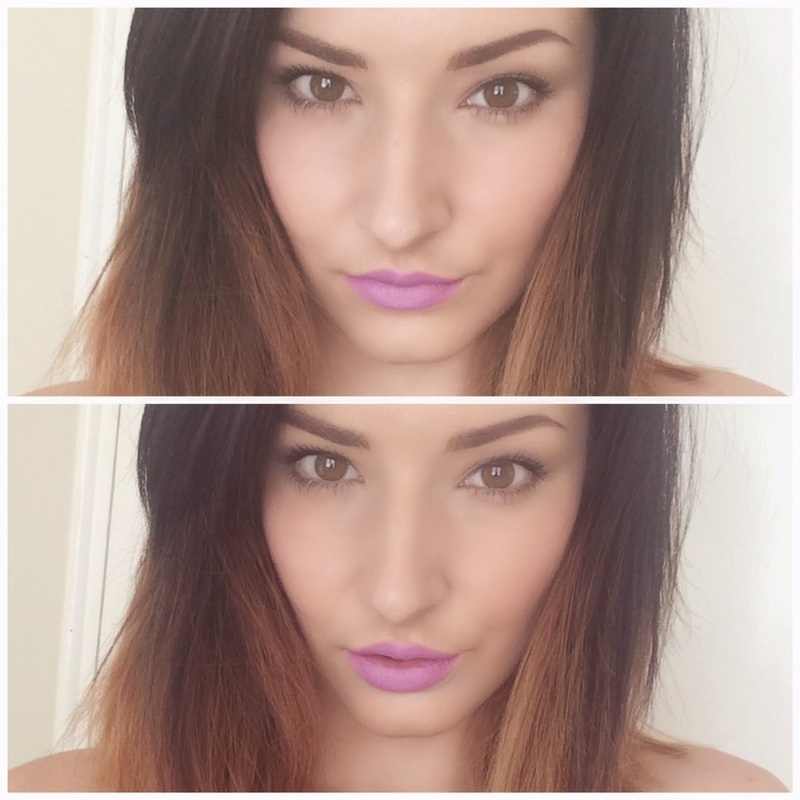 I think its a winner if you fancy a change and mixing up your make-up look a bit..personally i love purple and a good matte lipstick so its a match made in heaven for me. Good news as well folks !! this lipstick is still available on the mac website HERE for £16.50 quick,quick...ruunn! What do you think of wearing a lip shade like this? Did you get hold of anything from this collection? Do you always miss out on past limited edition MAC collections, or is it just me? sob sob..
I’m so jealous you managed to get your hands on this... but looking at it now, it looks a lot similar to Up the Amp so i’m not sure whether I need it! Gorgeous shade, i think it looks amazing on you! 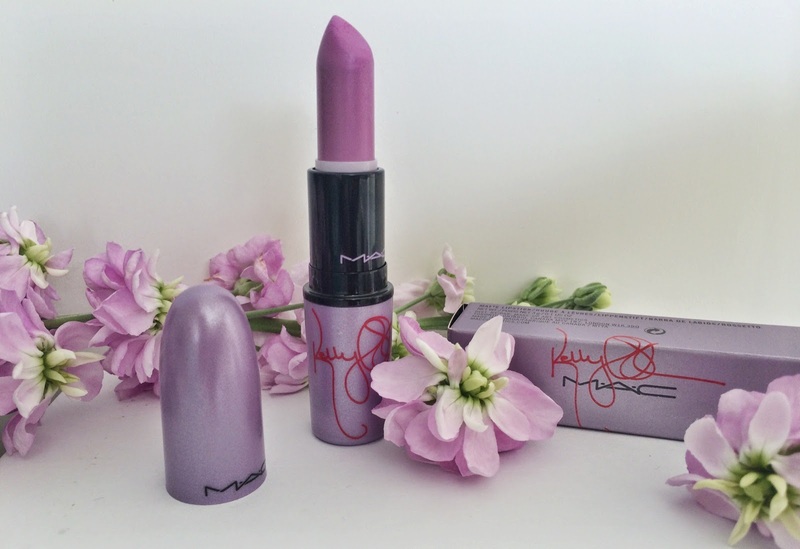 I'm not brave enough to try a lilac lipstick, but you look so gorgeous with this! I might have to give it a go myself! The colour is gorgeous! I suits you so much, I think it goes well with your skin tone. Your so pretty. I found your blog through the #bbloggers chat this evening. I think this looks gorgeous on you! I didn't fancy anything from the collection but I'm actually really tempted to get this now I've seen it on you! Indeed Labs - Deal Alert!